"An explosive side scrolling platform game"
In Volcanic Bomb you start out playing a little knight who after having his helmet and sword especially crafted for him, he then sets out through the treacherous world outside which is full of enemies and obstacles. 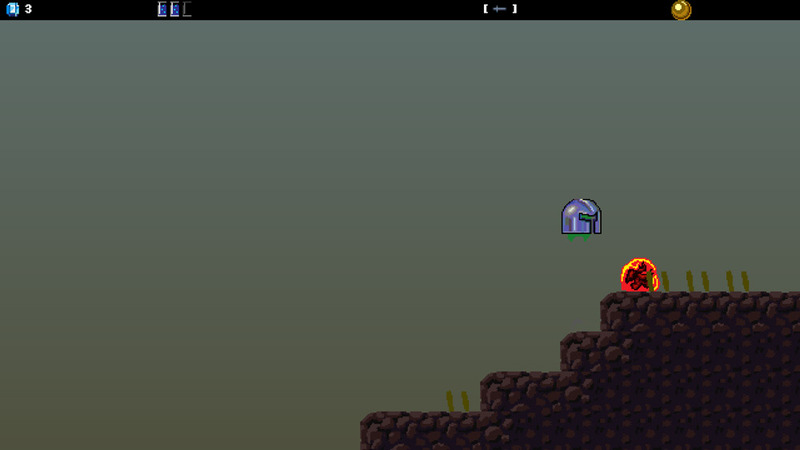 In this development demo you get a good idea of a fun side scrolling adventure game, it is still early in the development however Volcanic Bomb shows a lot of promise, there are some parts which can be quite challenging but one of the very coll features of the game is being able to use volcanic rocks to progress further such as standing above it and exploding it to give you enough jump power to reach really high ledges. 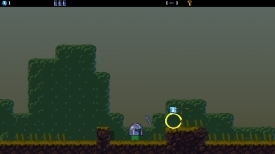 Many enemies come along and you can use your boomerang style sword to take them down but beware some of these enemies take more than one hit and can be very difficult to take down, and if they combine with a volcanic rock will become super powered and even more formidable. Although it is early days in the development of the game it is a lot of fun, and the only flaw is at times that it can feel a bit bare, other than that is a really fun platform game. You can download Volcanic Bomb demo here for free.